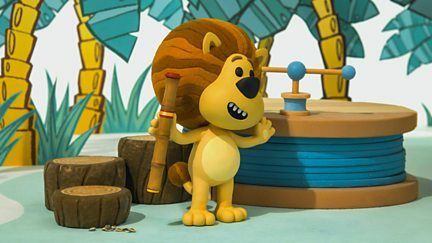 Stop frame animated series featuring Raa Raa and his friends, who solve very noisy mysteries in the Jingly Jangly Jungle. 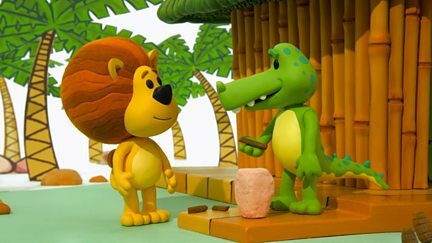 There's a storm in the jungle, but no-one is sure what the noises coming from the sky are. 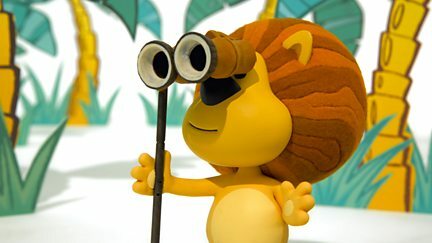 Raa Raa is intrigued when he hears a whooshy, rainy noise, since it's not raining! 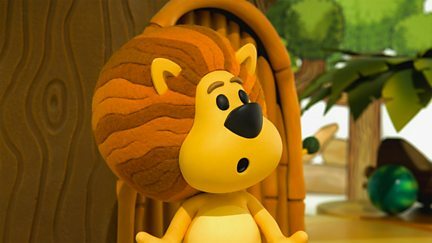 When their junglephone breaks, Raa Raa thinks Ooo Ooo doesn't want to be friends any more. Zebby is scared to go down the zipwire and everyone chanting at her makes matters worse. 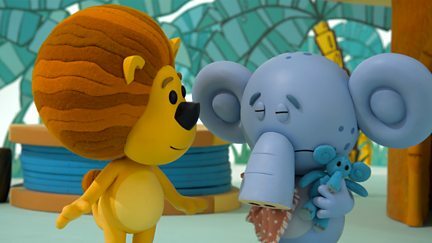 Topsy gets upset when her friends interrupt her telling her favourite story. 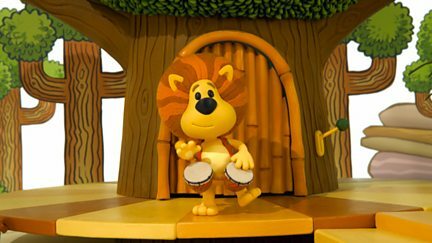 Raa Raa becomes the singer in Crocky's Jingly Jangly Jungle Band. 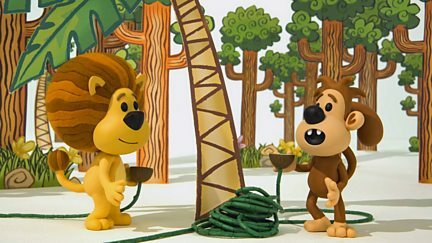 It's Banana Day in the Jingly Jangly Jungle, but Raa Raa doesn't seem quite himself. 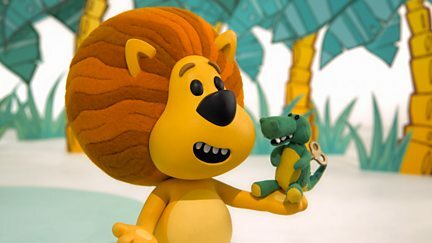 When Raa Raa accidently loses Crocky's favourite toy, he's determined to find it again. Huffty's not feeling well and can't stop sneezing. 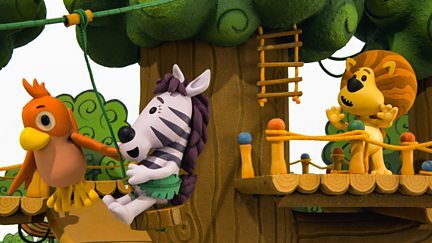 Raa Raa and his friends play at launching Huffty's whooshy whooshers into the air. 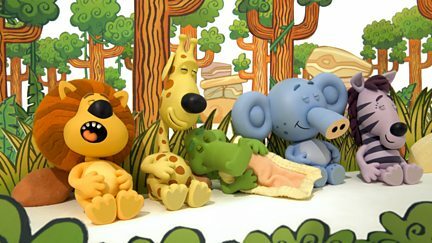 Raa Raa and his friends hear a strange noise and find a set of tracks in the jungle. 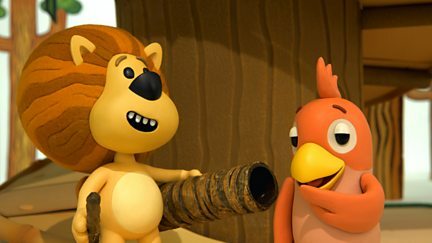 Raa Raa and the gang come up with a cool greeting involving lots of ways of saying hello. 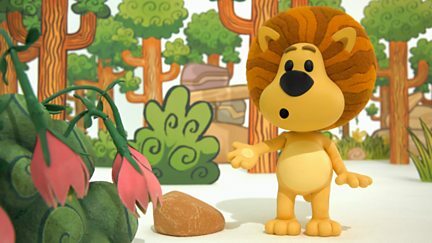 Can fidgety Raa Raa sit still long enough to see the beautiful bell flowers open? 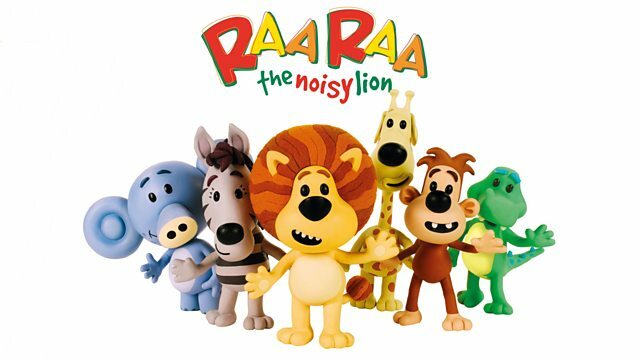 Raa Raa and his friends are looking for things that make funny noises. 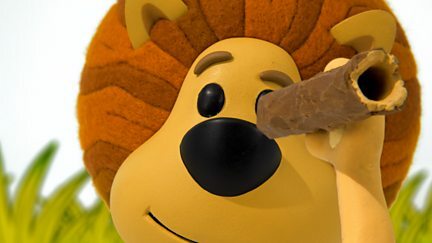 Crocky doesn't know where his collection of sticks has gone. 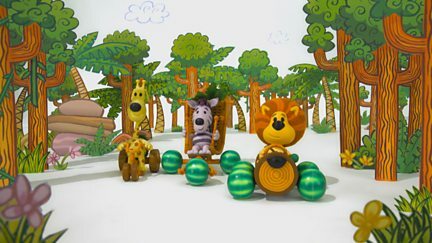 Raa Raa and his chums race their vehicles through the Jingly Jangly Jungle. Who will win? 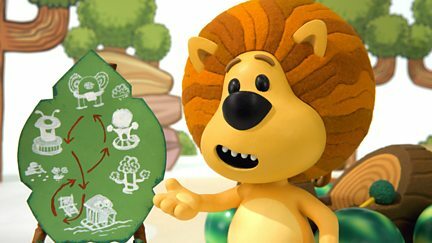 Raa Raa's friends help him to fix lots of broken things around the Jingly Jangly Jungle. 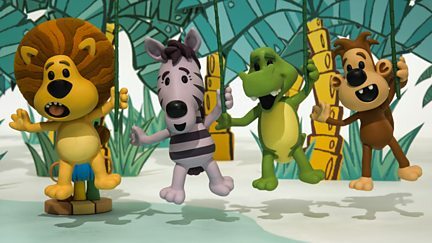 The gang put on a Jungle show, but with everyone performing on stage, who will watch it? 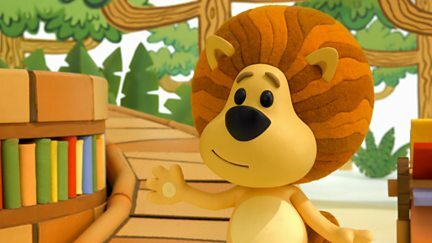 An overenthusiastic Raa Raa breaks Pia's new jungle gym. Luckily, he is able to fix it. 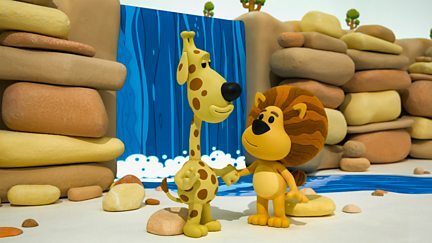 The waterfall has lost its tinkly sound, so Raa Raa and his friends set out to find it. 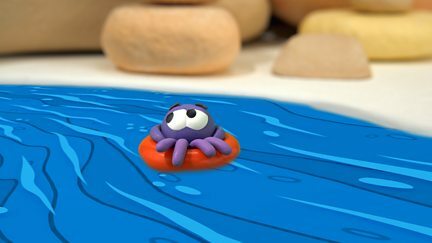 The gang are looking for a rumbly noise, and Crocky tries to find a quiet spot for a nap. 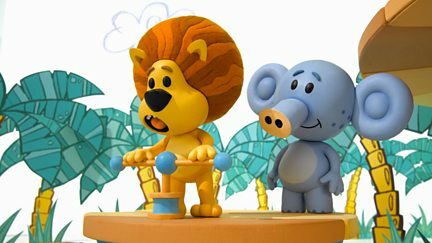 The gang go on a journey, driving their vehicles all over the Jingly Jangly Jungle. Pia has hurt her wing and can't fly around or play. 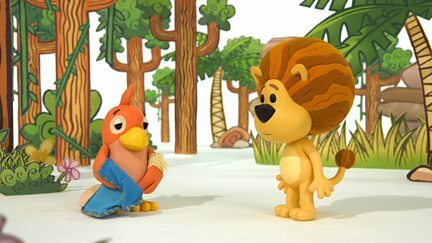 Raa Raa tries to cheer her up. 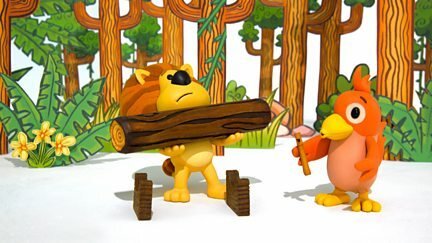 Raa Raa helps Ooo Ooo build a domino-style chain of logs that stretches across the Jungle. 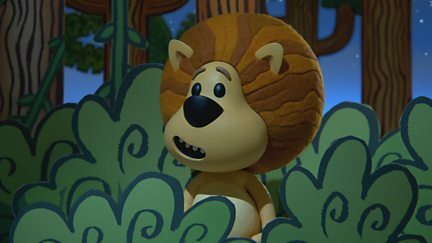 Raa Raa and his friends get lost in the dark while out looking for fireflies. 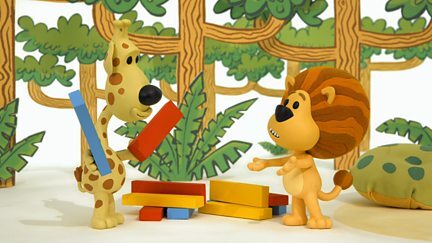 The gang play a game called Do What I Do, but a misunderstanding upsets Topsy.